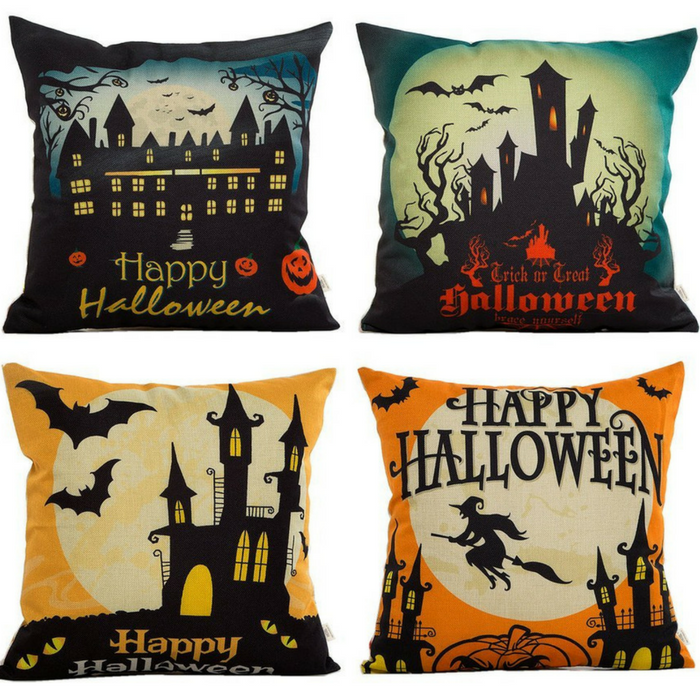 Happy Halloween Throw Pillow Case 4-Pack Just $12.69! You are here: Home / Great Deals / Amazon Deals / Happy Halloween Throw Pillow Case 4-Pack Just $12.69! This is perfect for the coming Halloween Holiday! Head over to Amazon to score this awesome Happy Halloween Throw Pillow Case 4-Pack for just $12.69 PLUS FREE shipping with Amazon Prime or for orders over $25! Decorate your bed or couch with a cushion case, and augment the unique style of your room in an instant. The case is lightweight and durable, and allows you to comfortably hold, lean against or rest on your cushion. Your cushion in this case will also look great on the dresser or even in the car. “Pillow case Only, No Pillow Insert”.